We are Birla Institute of Technology and Science, Pilani (BITS Pilani), one of India’s leading higher education institutes and a deemed university under Sec. 3 of the UGC act. 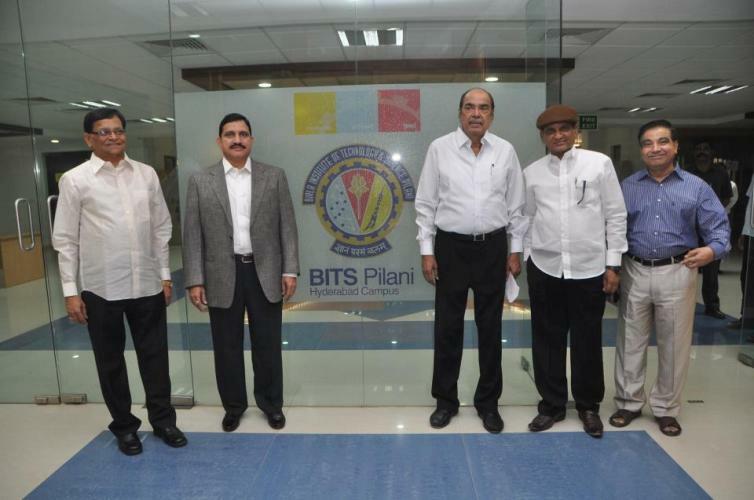 Established in 2008, BITS Pilani, Hyderabad campus is spread over an area of 200 acres in Jawahar Nagar, Shameerpet Mandal. 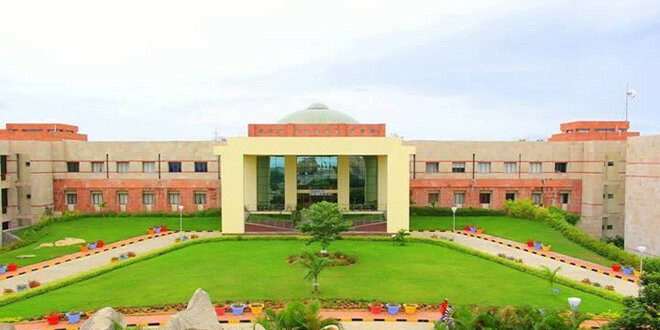 Surrounded by natural beauty the campus is a mere 70 kms from the Rajiv Gandhi international airport and 27 kms from Hyderabad city. 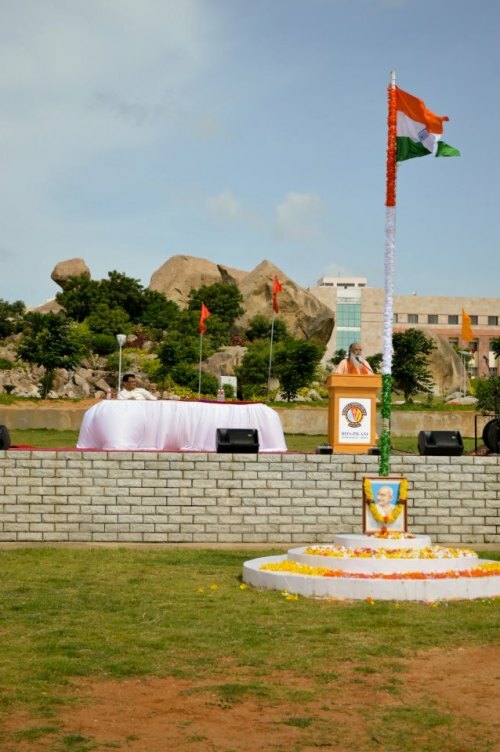 The campus has set up state-of-the-art infrastructure without affecting the scenic beauty of the campus. Spacious labs, well furnished classrooms, lecture theatres and network infrastructure, all come together to make BITS Pilani, Hyderabad an extremely well equipped campus. Around 700 bright minds are admitted every year into the first degree, higher degree and doctoral programmes. The campus is fully residential, housing over 2800 students and over 140 faculty members. The academic community combines extensive research, training and industry experience to offer comprehensive education to students. Currently over 40 research projects are active on campus, most of which are backed by prominent funding agencies. Campus life is vibrant and stimulating. Student calendars are filled with a healthy mix of extracurricular activities through various clubs and departments. There is a culture of freedom coupled with a holistic environment for multidimensional growth. The students of the campus are truly ready to become the innovators of tomorrow. BITS Pilani offers degree programmes in Engineering, Sciences, Technology, Pharmacy, Management and Humanities. This section describes the admission modalities for the on-campus degree progarmmes offered at Pilani campus, Goa Campus and Hyderabad Campus. 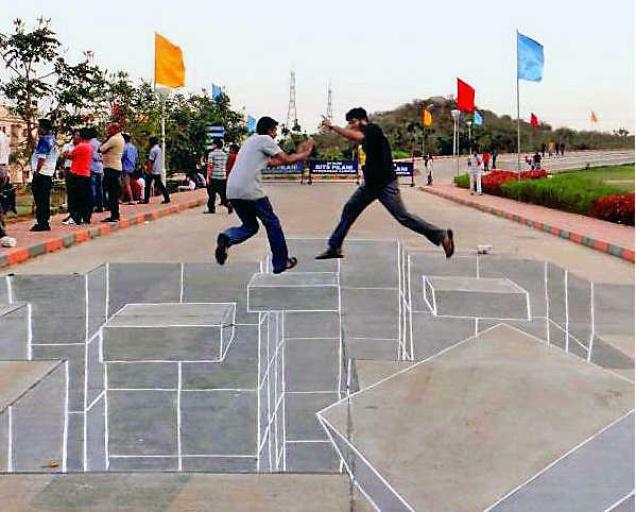 BITS, Pilani offers degree programmes in Engineering, Sciences, Technology, Pharmacy, Management and Humanities. This web site describes the admission modalities for the on-campus degree progarmmes offered at Pilani campus, Dubai Campus, Goa Campus and Hyderabad Campus. BITS Pilani is a preferred destination to recruit from, for a large number of companies. We feel validated in the quality of education and experience we provide to our students when a majority of our students are successfully placed on campus. Each of our programmes are designed to give our students a balanced education with theory as well as practical knowledge. In addition, they are encouraged to participate in extra curricular activities as it helps them develop soft skills and develop well rounded personalities. It is this that differentiates our students and makes them a valuable part of any company they join. • We contact companies about 2 months ahead of the placement schedule. • Companies provide us with the necessary data through a Job announcement form. • We scrutinise the requirements and then send a formal invitation to the companies. • We fix a mutually convenient date and time for the presentation & selection process. • We announce the visit along with the details provided by the company in the announcement form to the students. • We ask eligible students who are interested in the job to apply for the job a week before the visit. • We provide essential details of applicants to the company. • The company re-confirms travel plan a week before the allocated visit date. • We book accommodation for company (on payment basis) at the Guesthouse within the campus. • We book a presentation hall and a student volunteer is allocated to take care of the logistics on campus. • We announce the list of selected candidates once the company finalises it. • Students sign offer letter and a copy is forwarded to the company. • A team of dedicated placement committee volunteers work to ensure simpler logistics and all other related issues regarding campus placements. BITS Pilani campuses schedule two placement seasons every year. Our students work in industry for one of the two semesters in their final year as part of the Practice School programme and are available only part of the time on campus. Details of the profiles of students available for placement in each season can be found two months ahead of placements on each campus website.